A great use for leftovers of yarn. You need less than 10 grams/0.35 oz of each color when you use four colors. My hot air balloon is 13 cm/5.25 inches high. 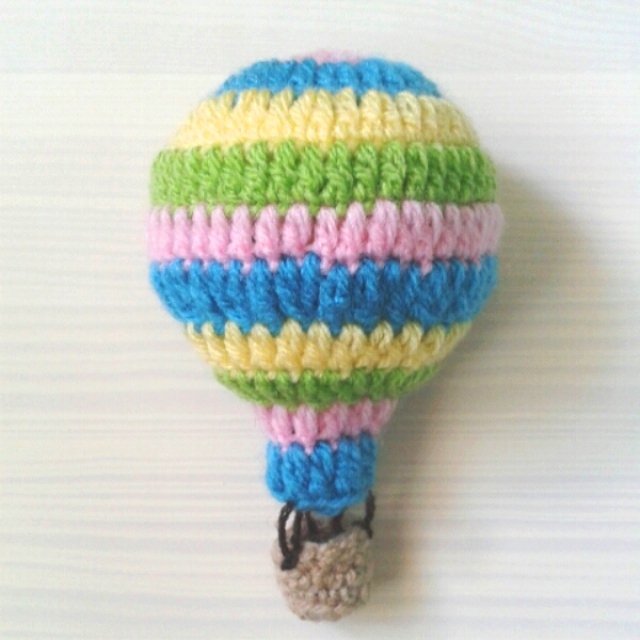 Note: For the balloon start each round with ch2 (counts as dc) and end each round with a slip stitch in the new color. The basket is worked in continuous rounds. Stuff and close remaining hole. Now I connected the balloon and the basket at three points. I just made knots and hid the ends.